These nice cool mornings are what I've been waiting for. The sticky summer heat is finally over and I'm so ready to start baking. Somehow cooking soothes my soul, especially baking cookies. 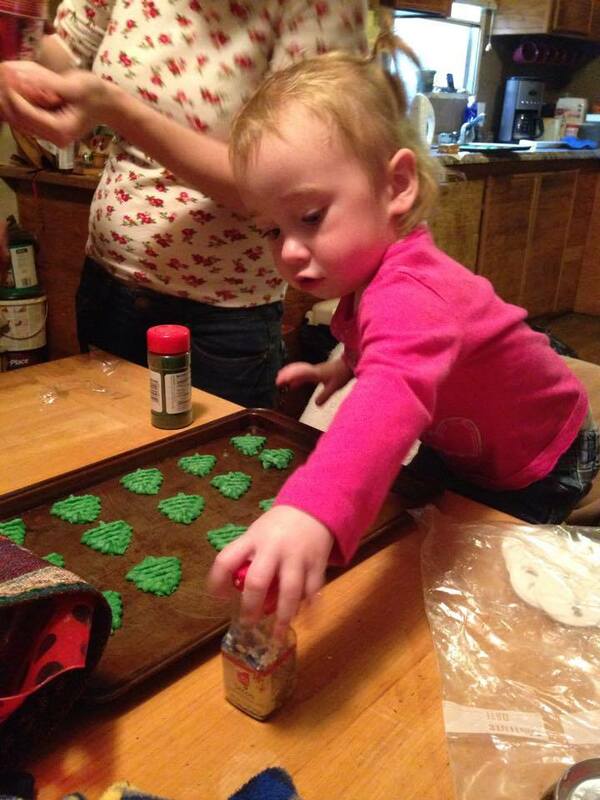 I look forward to all the "helping hands" of the grandkids during the holiday season. I have to bring them over in batches usually according to age. They all love helping out in "Grammy's Kitchen" but not as much as I love having them here. Some of my fondest childhood memories come from my Grandma's kitchen. Even when I was too small to help and I got set in a chair out of the way just watching. I loved listening to the conversations and watching, not to mention the taste testing. 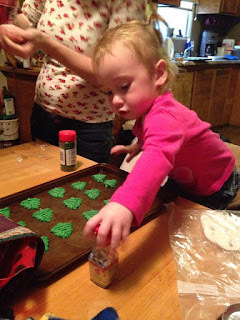 (Here in my kitchen it's known as quality control and the kids fight for that job) The kids even help me look for new recipes to try and we get together to try them out. I hope that in years to come my grandkids will look back at all of cooking together and making cookies with the same fondness I have for my Grandma's kitchen.